When you think of doing a wine tasting do you think of Texas, Colorado or Pennsylvania? Probably not. However, today, people don’t have to travel to Napa, Sonoma, France or Italy for a good wine destination. With winemakers in nearly every state in the United States, you’re bound to find a wine trail near you – or along your next road trip route. So Texas, Colorado or Pennsylvania might just be one of your next wine tasting destinations. I have done several wine tastings in Texas and Colorado but have yet to hit the Pennsylvania wine trails. Kayla Matthews has and she has shared a few tips for those of you looking to explore the Pennsylvania wine scene. Have you had any Pennsylvania wines? Done any Pennsylvania wine tours or any of the following Pennsylvania wine trails? I’d love to hear your thoughts in the comments. Cheers! Did you know the state of Pennsylvania has more than 100 wineries? It ranks 5th nationally in the amount of grapes grown and 7th in the production of wine. Pennsylvania’s moderate growing climate and ideal terrain means that it has some of the best growing conditions on the East Coast. 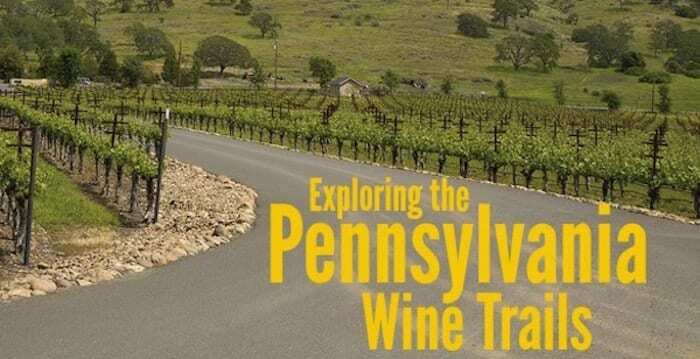 As a result, Pennsylvania is also home to some amazing wine trails and tours. Check out one of the Pennsylvania wine trails or tours listed below and get tasting. Cheers! Containing 13 wineries, the Susquehanna Heartland Wine Trail is an excellent way to see the beauty of central Pennsylvania while enjoying some of the region’s best wines. While visitors are able to visit the vineyards at any time, there are two major events that that the trail celebrates each year. The first is the signature event, the March trail. For just $20 a person, visitors can spend weekends touring the wineries on the trail and enjoying tastings, entertainment and food. Once each winery has been visited – validated by a stamp – participants are entered into a drawing for multiple prizes. Tickets for the March trail can be purchased at any participating winery. The second event hosted by the Susquehanna Heartland Wine Trail is A Heartland Christmas. The event is new this year with limited details released so far, but tickets will be $20 each and it will take place from the end of November through the end of the year. Featuring 15 award-winning wineries in the heart of Central Pennsylvania, Hershey Harrisburg Wine Country offers signature events and an easy escape without leaving the city-limits of many towns in the region. Events hosted by the trail take place throughout the year and include: Valenwine’s Day Celebration – a two-weekend winery celebration, Sweet Sensations of Spring – Saturdays and Sundays in May, Music and Wine Festival, Jazz and Wine Festival and the Hershey Harrisburg Wine Country’s Fall Festival-two weekends in October and November. More information is available by downloading the trail’s brochure. 2 bagged lunches from Panera Bread. Tasting fees for 3 wineries. Luxury transportation to the train station, to each winery, to dinner and to the hotel for a night away. A special dinner at Fenicci’s of Hershey. A bottle of wine, corkscrew, two glasses and two wine cooler bags. Regardless of how you choose to tour Pennsylvania’s wineries, you won’t be disappointed. Have you had any Pennsylvania wines? Done any Pennsylvania wine tours or any of the following Pennsylvania wine trails? Kayla Matthews is a travel writer and blogger. You can also find her work on ProductivityBytes.com, Afar, Pink Pangea and Girl’s Getaway. Be sure to stop by ADAMS Vintners while in the Hershey/Harrisburg area!. 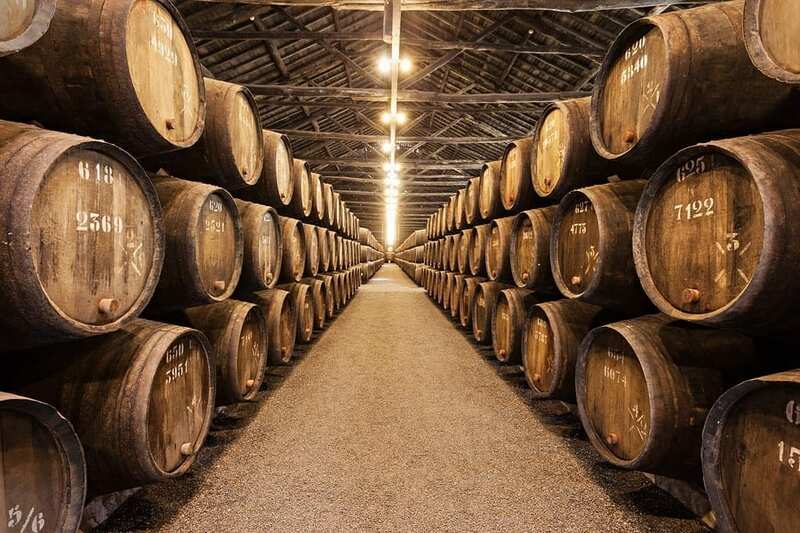 Nationally competitive selection of sweet AND DRY wines! A casual-elegant sample room with a tapas menu. Open till midnight on the weekends, all year round. We did the Susquehanna Heartland trail this year. We had a great time and got to see some beautiful countryside. I enjoyed talking to the people and learning the history of the wineries. While the entertainment was good at the various wineries I enjoyed the ones we visited more in the less crowded off times when we got more personal attention. Next year I think we might do the Central PA Tasting Trail.